If you are wanting to ship heavy or bulky items within the UK or Overseas, then the best way of doing this would to arrange a pallet delivery. Sending goods using a pallet offers many positive features, such as being safe and secured whilst in transit, plus also providing a cost effective method of transporting the goods. Palletised deliveries are without doubt the best and most hassle free way of shipping goods whether this is to another UK location or perhaps further afield such as Europe or to the other side of the World! We have put together a basic guide to arranging a pallet delivery and the things you should consider when preparing a palletised freight delivery. If you are shipping a pallet for the first time, you may not be familiar with what can and can’t be sent on a pallet. The first thing is that virtually anything can be sent on a pallet, due to its durability it is ideal for holding heavy items. Many shippers are sending up to 1,000 kilos on a pallet, so you can be confident that nearly any items can be sent on a pallet. Whether you’re shipping liquids, plastics, machinery, clothing, foodstuffs, electronics or an engine on a pallet, the flexibility that pallet deliveries can offer you are second to none. If you are involved in transporting hazardous materials, these can also be transported as palletised freight, however you should seek confirmation from your chosen pallet delivery company as to whether they accept hazardous or dangerous goods within their pallet delivery network. Not all companies are keen to handle these types of goods. 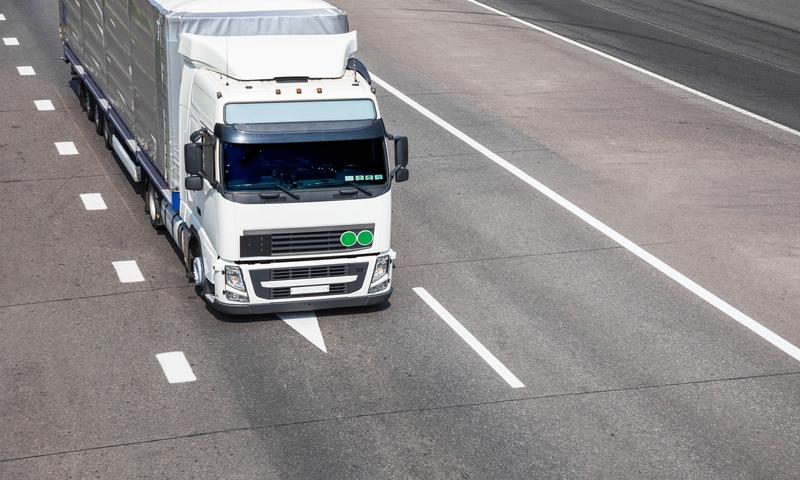 When it comes to choosing your size of pallet, in the UK (and European) road freight industry, you’ll typically find that many carriers will accept a standard UK pallet which has a base measurement of 100 cms (1 metre) by 120 cms (1.20 metres) or a Euro pallet, which has a pallet base size of 80 cms (0.80 metres) by 120 cms (1.20 metres). Depending on the type of goods you are sending, will determine the size of pallet you should use. As we have touched upon earlier, some people are sending up to 1,000 Kilos on a pallet, which is a considerable weight. Whilst most pallets will be fine to handle this, you should always be checking the quality of the pallet(s) you are proposing to use. Many people who ship goods using a pallet network, will be using “used pallets” and therefore the original purpose of these pallets, may not have been to carry heavyweight items. For example if the used pallet you have, was originally delivered to a firm that was shipping feathers – the overall weight of these items is very light. Therefore the pallet may have only been manufactured with this type of product in mind. However, if you are looking to send a load of bricks on a pallet, possibly weighing in excess of 1,000 Kilos – it would be worth considering and checking if the pallet you have is suitable for this type of product. The last thing you want is for the pallet to be lift up by a forklift truck, only for the weight of the bricks to be too much for the pallet and……well….you can imagine the state of the pallet! When it comes to loading your product(s) onto a pallet and building up your pallet, you need to ensure that the items are safely and suitably stacked/packed onto the pallet. Some items are of course a lot easier to palletise than others. For example if you are sending out cartons on a pallet, you want to stack these in such a fashion that they “interlock” as you build up layer by layer. This will give much need stability and make shrink wrapping the pallet that much easier. You should also bear in mind that you do not want to have any products overhanging the pallet. Having products overhanging the base of the pallet, is a big “No! No!” in the transport industry, as it can cause many an issue. Firstly you run the risk of sustaining damage to the product(s) on the pallet, as these goods are likely to be caught against other pallets whilst in transit, during loading or unloading and could be an expensive mistake. 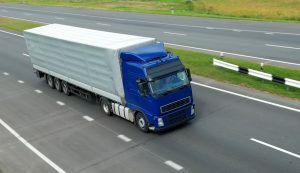 In addition to this, transport companies’ may also refuse to carry the pallet, as it restricts space on their vehicle for other pallet deliveries that they are arranging. Ideally a pallet should be able to be loaded onto a vehicle and have subsequent pallets (from you or other clients) sit side by side with each of the pallets on the vehicle. By having a pallet(s) with overhang, means that this may not be possible and therefore either a) the transport company will refuse to collect the pallet or (most likely) b) the transport company will charge you for the additional space taken on their vehicle. For example, you might only be shipping 1 pallet, which you believe to take 1 pallet position on the carrier’s truck. However due to overhang, your 1 pallet, may well be occupying 2 pallet positions, as the transport company have lost a space due to this issue of overhang. So instead of paying for 1 pallet delivery, you may well find yourself incurring a cost for 2 pallets! When it comes to finishing the pallet, the last thing you will be doing is shrink wrapping the pallet (also referred to as stretch wrap) which is used to hold the items on the pallet and keep everything safe and secure whilst in transit. It is important to use a decent amount of shrink wrap, to ensure that your goods are secured to the absolute maximum. When shrink wrapping your pallet(s) be sure to first tie the shrink wrap to a corner (leg) of the pallet base, then start wrapping around the pallet from the bottom, working your way up the height of the pallet. Ensure that as you wrap the pallet, the wrapping is tight, to prevent anything moving whilst in transit. To finish off, you should also label the pallet with the delivery destination and ideally if you have more than 1 pallet in a single consignment, include on your label pallet 1 of … pallet 2 of … pallet 3 of … etc. When it finally comes to arranging the collection of your pallet(s), make sure you inform your carrier if you do not have a forklift truck and therefore require a “tail-lift” vehicle for collection. A vehicle with a tail-lift, assists with the loading of the pallet – as the driver will have a pallet truck on board and can wheel the pallet from your premises over to his truck and onto his tail-lift. He will then raise the tail-lift from the ground level upwards and once inline with the floor level of the truck, can wheel the pallet into his vehicle. A tail-lift vehicle is a must if you do not have access to a forklift truck at the collection point. Likewise it is also worth checking with the buyer of your goods (or whoever you are sending your pallet to) that they have a forklift truck to unload at the delivery point. If not, then you need to ask your carrier to arrange delivery with tail-lift vehicle, but be careful. Whilst many carriers now offer a tail-lift vehicle for free, some still charge a surcharge which can vary from £15.00 to £25.00 on average. If you have a question about arranging a pallet delivery, please contact us via our website.